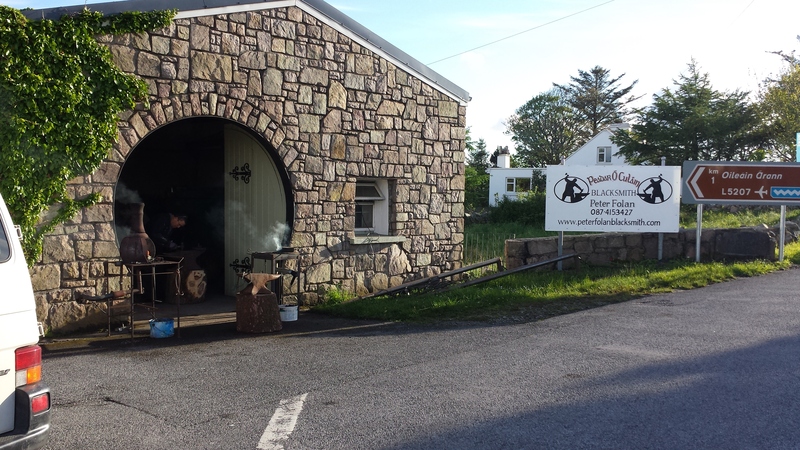 Peter Folan comes from a long line of blacksmiths. His father and grandfather were blacksmiths before him. “I watched my father work in the forge, and my first memories are the smell of the hot coal fire which encased bars of steel. the steam rose ferociously from the limestone trough that was used to cool down or to harden and temper the steel”. forge like ringing bell chimes echoing off the stone walls.